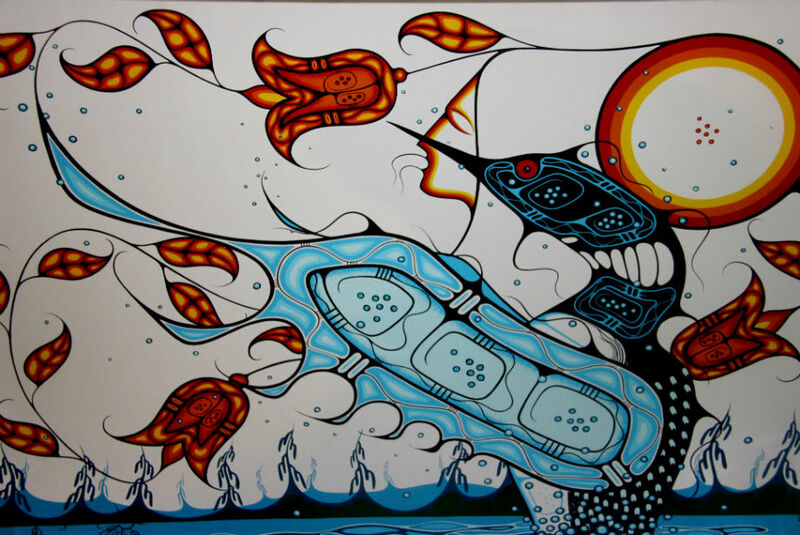 Jay Redbird is a member of Wikwemikong Unceded Indian Reserve and lives in Toronto and Cape Breton. 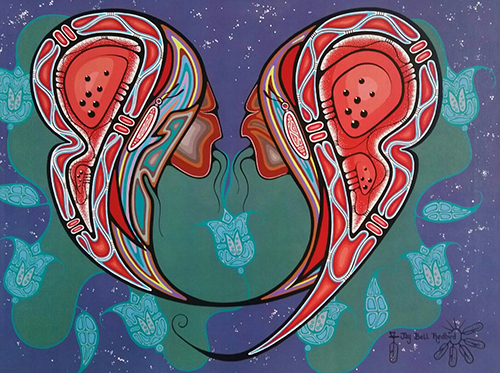 He is a self taught artist who grew up in the company of renowned artists such as Jackson Bready, Norval Morrisseau, his uncle Leland Bell and his father, Duke Redbird. Jay paints legends and dreams that bring to life the animal spirit and and the spirit of creation. He shares his work with all Nations to promote lasting peace and love. Posted on December 5, 2018 by Lory MacDonald and filed under Paintings and tagged ArtfestChristmas #ChristmasCrafts #ygk #ygkarts #kingston #ChristmasShopping #Gp_Vgt.